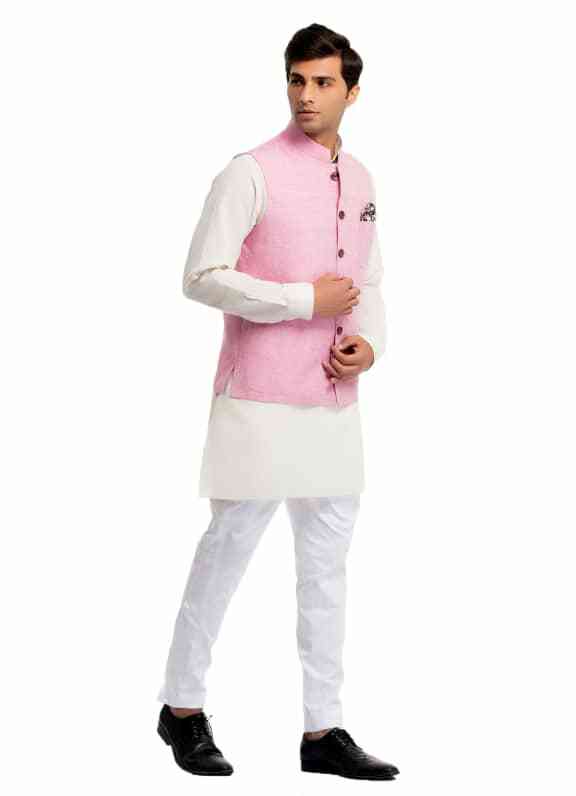 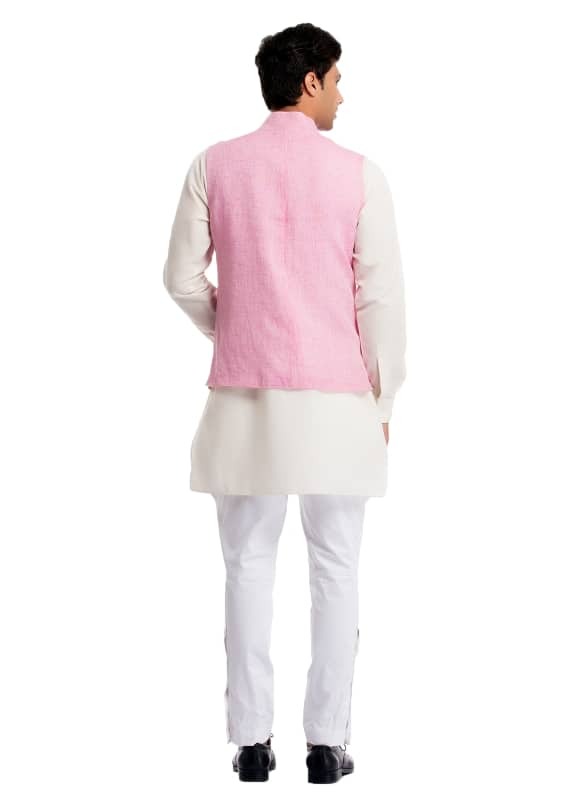 Fresh, fun and so summer, this baby pink linen Nehru Jacket will add a whole lot of wit and charm to your look. 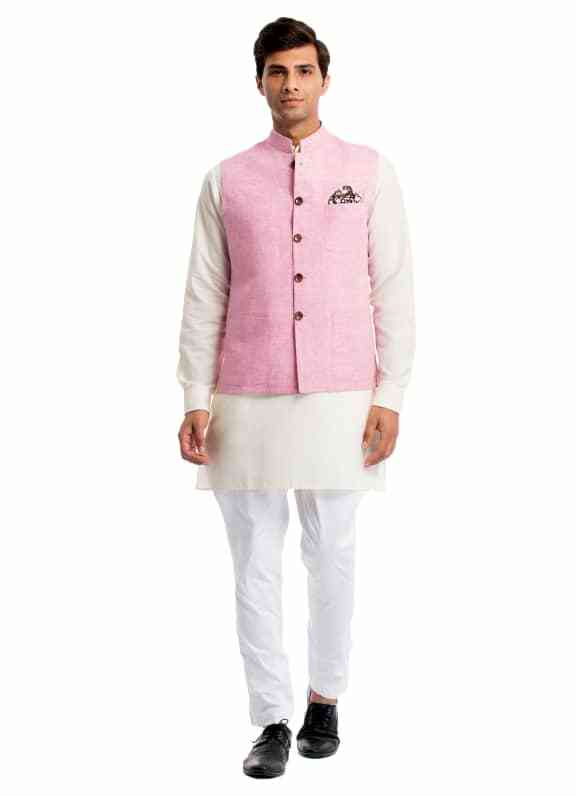 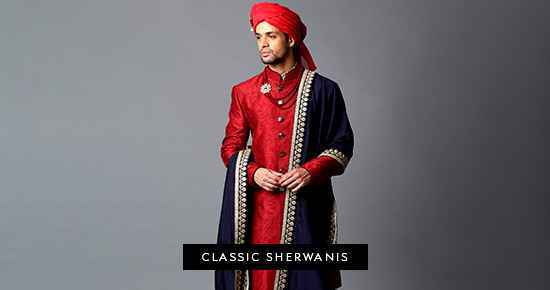 Wear it to a reception or even to a lunch with friends. 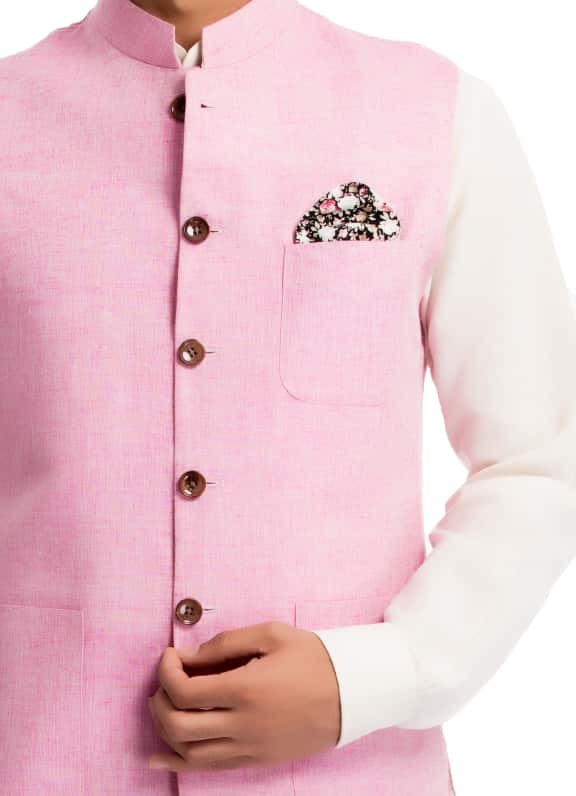 Style it with a pair of Oxfords and a stylish dress watch.